Thank you for submitting your item for appraisal. 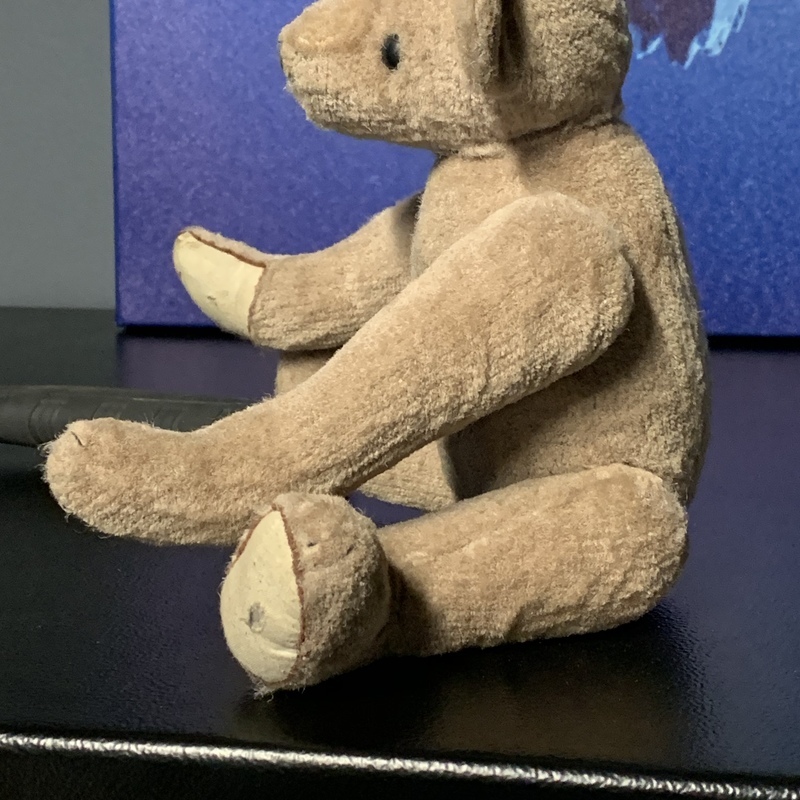 This appears to be a fragment of a pre WW II Teddy Bear, at one time in history completely overhauled, covered with a new corduroy plush, only the basic shape might be original and could very well be by Steiff. An X-ray would show. The estimate is based on similar vintage plush toys sold at auction. There is no measurement for the sentimental value you might attach to it.